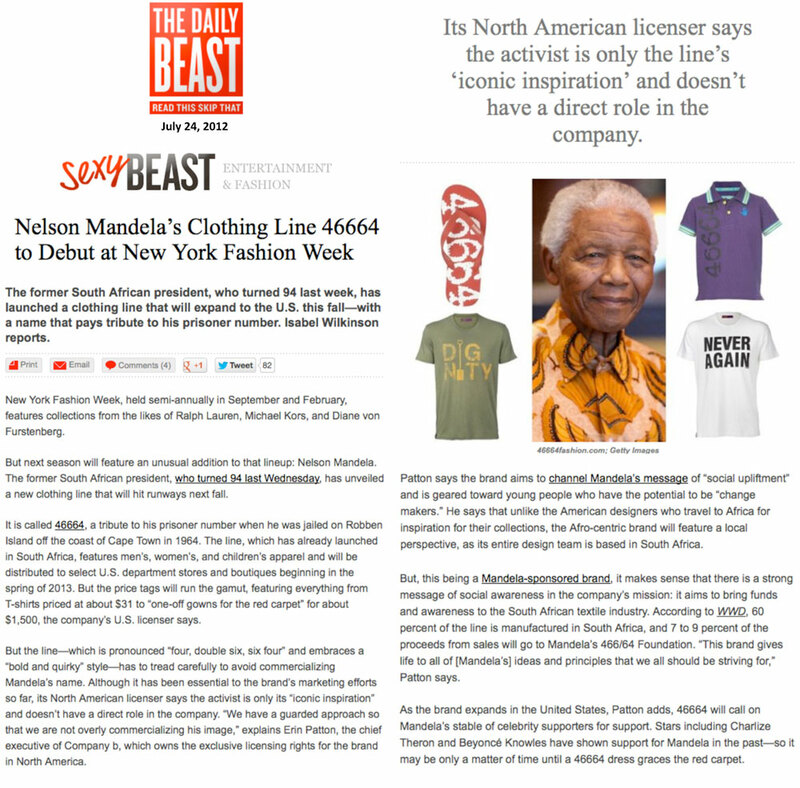 466/64 Fashion, a South African-based clothing brand inspired by the iconic legacy of Nelson Mandela, enlisted the help of Source Communications to announce the launch of their line in North America on Nelson Mandela International Day (July 18, 2012). Source envisioned an event where the 466/64 Fashion team could speak about the line and its South African heritage while displaying the uniqueness and diversity of the brand by showcasing individual pieces from the new Spring/Summer collection. To achieve this, Source worked with 466/64 Fashion to create an event that combined elements from both a press conference and a fashion show. In the days leading up to the event, Source invited key influencers from a collection of diverse industries, including fashion, entertainment, pop culture, politics, music and more to attend the event. 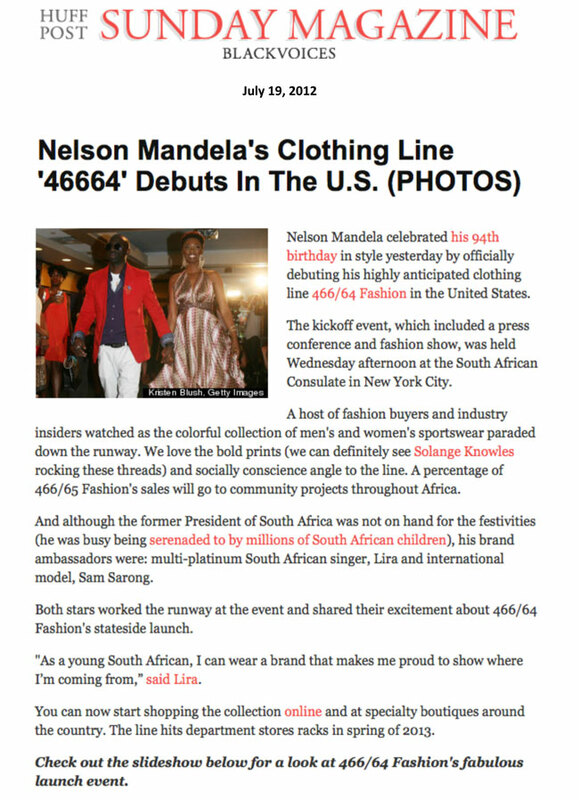 From start to finish, Source helped produce the successful North American launch event for 466/64 Fashion. 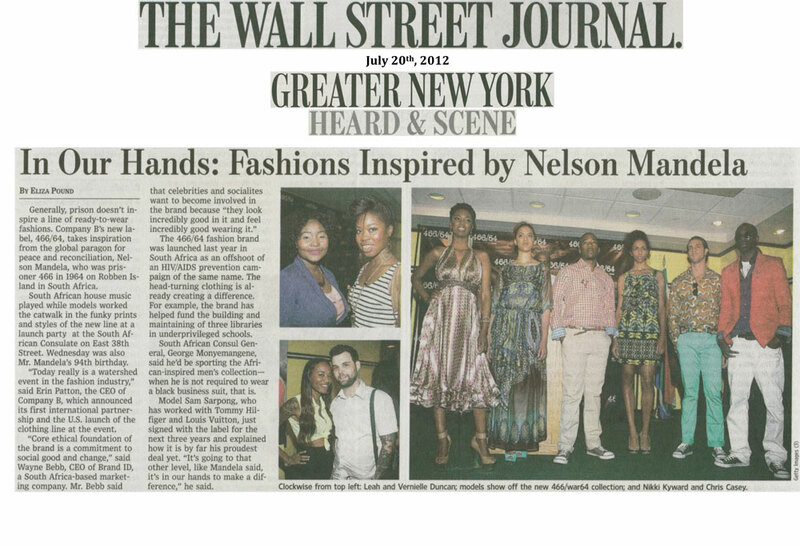 The press conference, held at the South African Consulate on Nelson Mandela International Day, featured a miniature runway where models showcased highlights from the brand’s new collection. 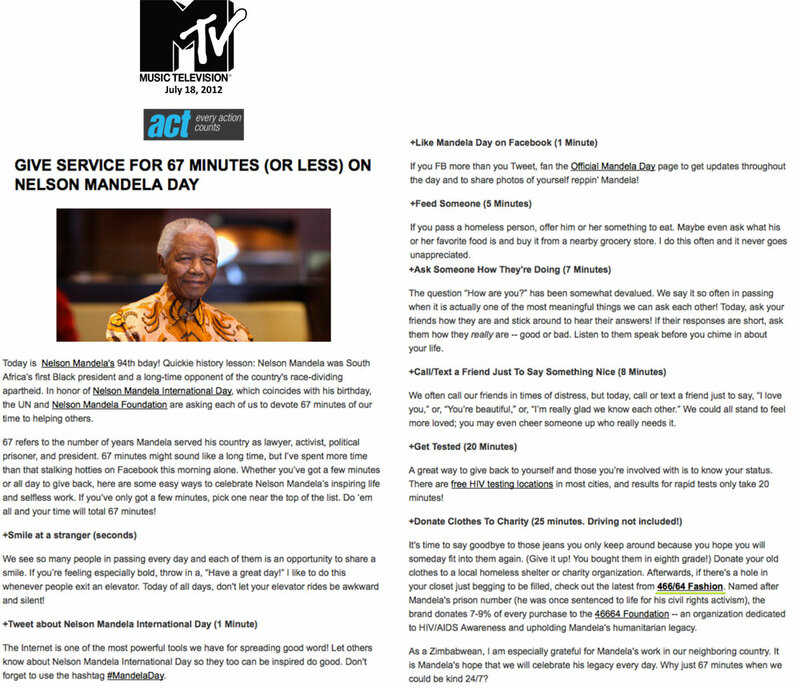 466/64 Fashion representatives spoke about the brand, South Africa’s fashion industry, Nelson Mandela’s 67-minute campaign, and how raising social awareness through fashion can provide a solution to myriad global problems. Key industry influencers like celebrity stylist Phillip Bloch, international supermodel Sam Sarpong, multi-platinum South African vocalist Lira, South African Consul General George Monyemangene and more attended the event. 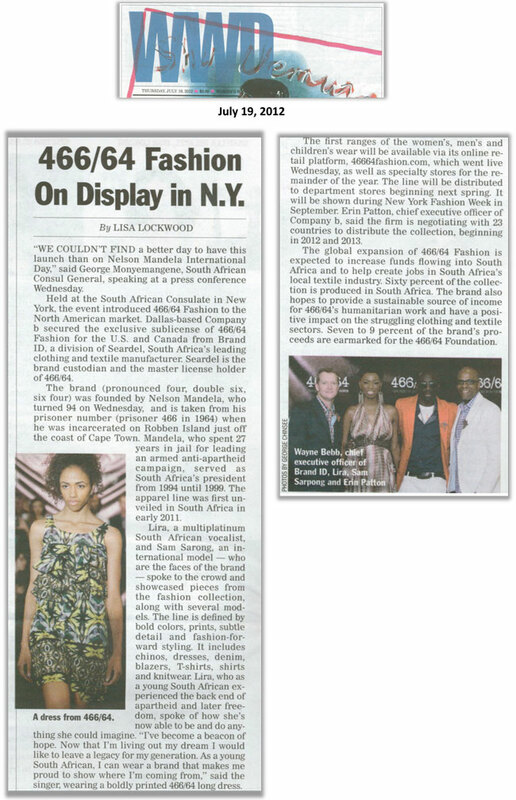 Media coverage of 466/64 Fashion and the event appeared in: WWD, the Wall Street Journal, MTV, Global Grind, Newsweek’s the Daily Beast, New York Magazine, the Huffington Post, Financial Times, AOL’s Stylelist and more.